Homeowners at Villages of Citrus Hills enjoy spacious, high-end homes, as well as beautiful community landscaping and an exceptional country club environment. Active adults planning to retire in Central Florida are sure to have heard of The Villages. This sprawling community has over 56,000 homes and is the largest age-restricted active adult community in the world. But The Villages is certainly not the only community in town. The popular Central Florida area is home to over 70 active adult communities, ranging in size from 10,000 residences to less than 500 homes. Here are just eight of the great active adult communities you can find in Central Florida. Located in Ocala, On Top of the World is an age-restricted community that features a wide range of resort-style amenities, including a Town Square and multiple recreation centers. Upon completion, the community will contain 10,000 homes, making it one of the largest in the state. The Villages of Citrus Hills is an active lifestyle community with amenities including three 18-hole championship golf courses, a spa and fitness center, and two clubhouses. This popular community opened in 1982 and expects to include approximately 10,000 homes upon completion. 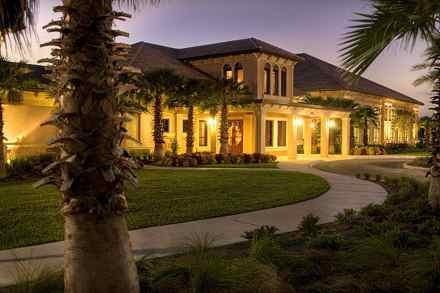 Solivita is a Tuscan-themed active adult community spread over 4,300 acres in central Florida. Solivita boasts two 18-hole championship golf courses, 148,000 square feet of recreational amenities, and numerous lakes and wooded preserves. Upon completion, Solivita will contain approximately 5,900 homes. Built by Pulte Homes, Stone Creek is a Del Webb 55+ community that offers affordable housing in a great location. Popular community amenities include an 18-hole championship golf course, multiple sports courts, a state-of-the-art fitness center, and several hobby and game rooms. Located in Lake Wales, age-restricted Lake Ashton shares its name with the beautiful lake that it overlooks. This gated golf community features desirable resort-style amenities in addition to an indoor theater and a bowling alley. The lake has boat access and the community offers both boat and RV storage. VillageWalk at Lake Nona is an active lifestyle community located within the city limits of Orlando, offering easy access to many popular attractions. Within the community, residents will find many amenities in addition to services such as a post office, beauty salon, and gas station. With just over 1,000 homes, Cresswind at Victoria Gardens is a tranquil community tucked away in scenic DeLand, Florida. The community offers both villas and detached single-family homes, as well as a range of exciting amenities. Located in Leesburg, Arlington Ridge is an age-restricted gated community. The community’s design plans feature many amenities including an 18-hole championship golf course designed by Gary Koch. Upon completion, this intimate community will offer 629 homes.